Presented on February 9, 2016. 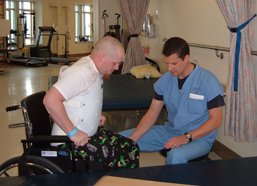 For many people with spinal cord injuries, personal caregivers are one of life’s daily necessities. Finding and retaining reliable, competent, affordable caregivers can be very time-consuming and stressful. And the more care you need, the more you may find that you are running a small business with lots of employees and complicated shift schedules. Whether you need 24-hour care or only a couple of hours of help a day, you need to be able to count on caregivers to show up and do their jobs well. 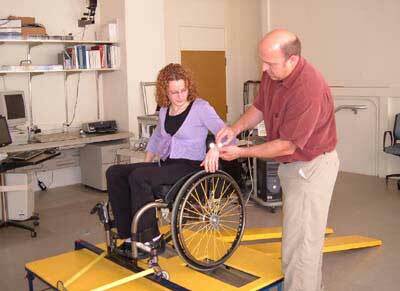 How do people with SCI do all this and get on with their lives? In this forum video we hear from four individuals with cervical SCIs who share their stories, tips and hard-won wisdom on the topic of personal caregivers. As with so much in the SCI world, everyone’s situation is unique, and each of our panelists has different care needs and different ways of paying for them. See hiring resources below. Also see our related video "Caregivers: Perspectives from Those Providing Care" (2015). Presentation time: 80 minutes. After watching, please complete our two-minute survey. Thank you! 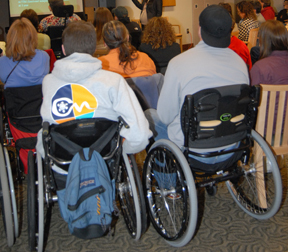 Watch the video of our 2008 SCI Forum "Personal Caregivers: Tips, Tricks and Tales from Individuals with SCI."